Jan, thank you for featuring Innsbruck in the Snow-Ice-Frost Including Mountain Tops group. 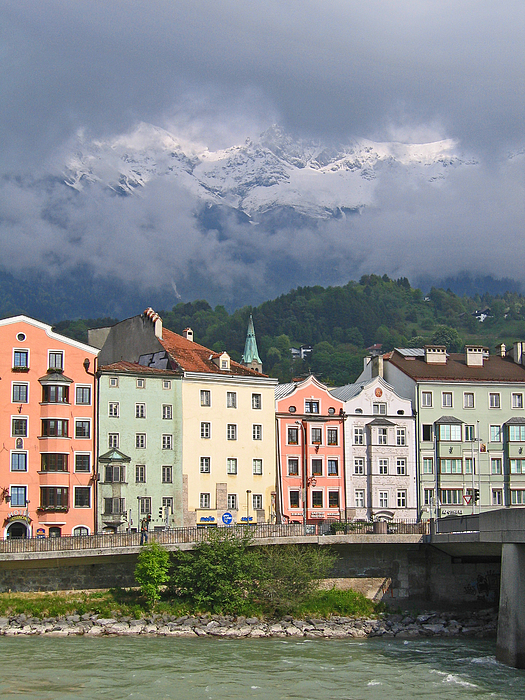 Dora, thank you for featuring Innsbruck in the Picturesque Neighborhoods of the World group. Thank you for your complimentary comment, Cindy. Much appreciated. Your insightful comment is much appreciated, Linda. Thanks! Many thanks for your return visit, Lenore. 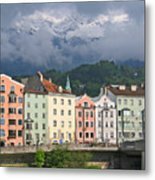 Innsbruck is a wonderful city to visit, and the trip into the Alps was fantastic! Back to tw / v this beauty! Absolutely love this! Thank you very much for your complimentary comment, Betty. Love the colors of the buildings and, of course, the mountains peeking up in the background. Nice capture Ann! Many thanks for your insightful response, Darin. Many thanks, Liesl. 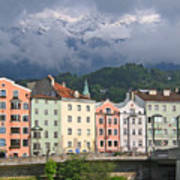 We really enjoyed our visit to Innsbruck, a very special place, in part, because of the snow-capped Alps. Many thanks for your gracious response, Sandi. 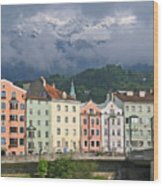 Innsbruck is such a scenic city! Mariola, thank you for featuring Innsbruck in the 500 Views group. Many thanks for your kind congratulations, Johanna. Many thanks for your gracious comment, Elfriede. I thoroughly enjoyed my visit to Austria! Thank you, David and Carol, for your kind congratulations. Much appreciated. Your kind words of congratulations are much appreciated, Barbie. 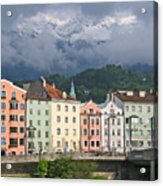 Snow-clad Austrian Alps gleam through low-hanging clouds, while a row of colorful buildings and the Inn River also shine in the sun. Innsbruck, Austria. Copyright 2005 Ann Horn. ALL RIGHTS RESERVED. This copyrighted image does not belong to the public domain and may not be reproduced, copied, altered or manipulated in any way without the written permission of Ann Horn. ann-horn.pixels.com. pixels.com Group Features: Snow-Ice-Frost Including Mountain Tops. Picturesque Neighborhoods of the World. 500 Views. Women Photographers. Dimensions. Architecture.